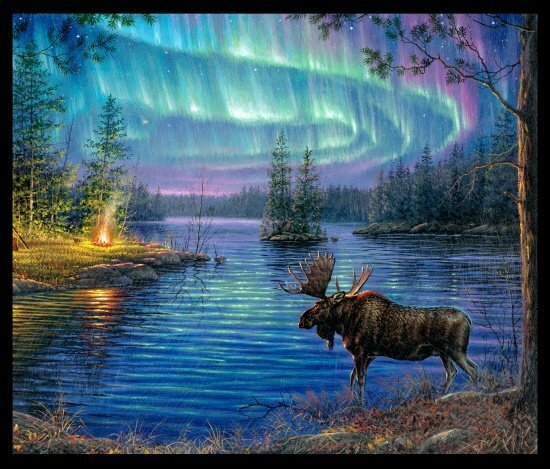 Moose and Aurora Borealis, combined in this stunning panel. Digitally printed for extra vibrant color. Measures 36" x 44"